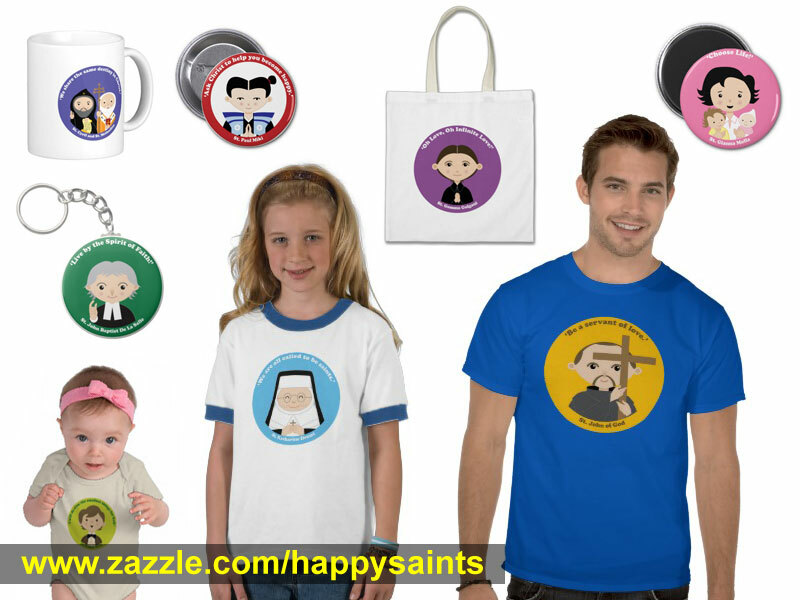 Happy Saints: New Items at the Gift Store! New Items at the Gift Store! New items at the Happy Saints gift store! New saints artworks are now available on t-shirts, badges, bags, caps, magnets, cards etc. Recent additions include St. Dominic Savio, St. Gemma Galgani, St. George, St. Gianna Molla, St John Baptist De LaSalle, St. John of God, St. Katharine Drexel, St. Louis De Monfort, Sts. Cyril and Methodius, Sts. Perpetua and Felicity and lots more! Pentecost is coming next month! Altar Servers - Awesome to Serve the Lord!